Hotel Story gives you the opportunity to explore the mix of modern and historical culture. In just a few steps from Story you will find yourself in the middle of the Old town, museums, handcraft shops, and when the night falls, the exciting nightlife is just around the corner. Hotel Story has modern apartments, friendly staff, and we makes it their mission to make your stay in Sarajevo as comfortable as possible. 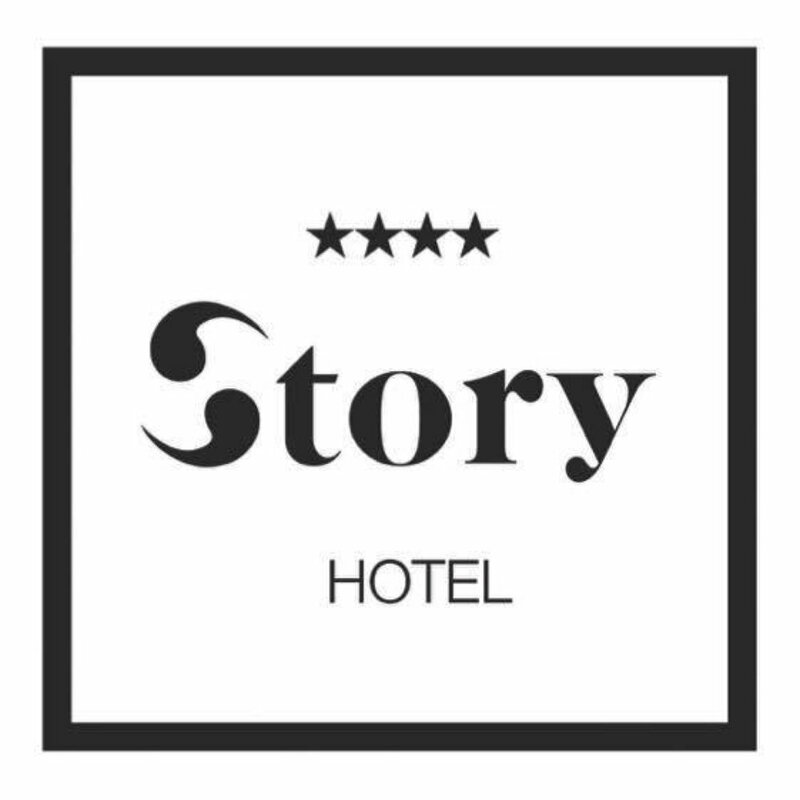 Hotel Story aims to be a chapter in your Sarajevo story. Hotel Story was located right in the center of Sarajevo within only a few minutes walking distance of everywhere in the city that I wanted to visit. Upon my arrival I was greeted by the two very sweet girls working there, Ilma and Elvedina They were so kind! Ilma especially was so interested in my trip and told me about how she had pleaded with her manager to sponsor me on my trip. And thankfully her convincing worked! I really enjoyed talking with them both before being shown to my great room. My room was very spacious - I especially enjoyed the nice TV and comfy couch. There was so much space and I loved the layout of the room! It was on the top floor so I loved the feel of the slanted ceiling and windows. The bathroom was very large as well and the room had everything that I could need. I really liked the premise of the hotel. Hotel Story was really just adorable and I loved the whole premise: each floor was a chapter, for example – and I am so glad that they were able to be a part of my story! I got some great recommendations from Ilma and as it was raining Elvedina even offered me her umbrella. I got a great night sleep and upon my check out I was given a sack lunch for my bus ride. It was so kind and very helpful for the long ride! Hotel Story is quaint and charming but very nice with new and modern amenities. I cannot thank everyone at Hotel Story enough. The hotel was so nice, right in the heart of the Old Town of Sarajevo, and the people who worked there were incredibly kind. If you ever find yourself in Sarajevo Hotel Story has everything you might need and more! To learn more visit the Hotel Story website here.